I loved it right away. My editor showed it to me in a dark bar—Barbès on 9th Street in Park Slope—and I fell in love with it. I don’t recall seeing a series of attempts, just two alternatives in the bar, and this was my clear choice. I like the fact that it’s both concrete, divided into sky and sea, and abstract. 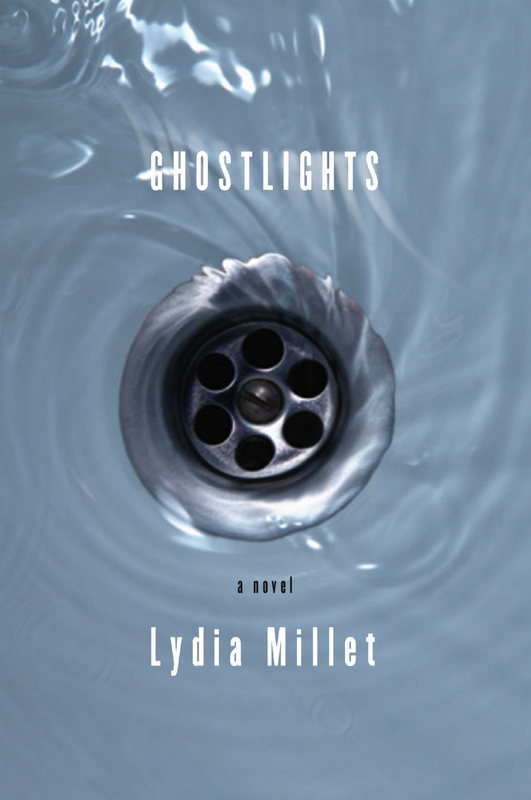 Ghost Lights is the second installment in Lydia Millet’s literary trilogy which started with How the Dead Dream and ends with Magnificence (forthcoming in November). 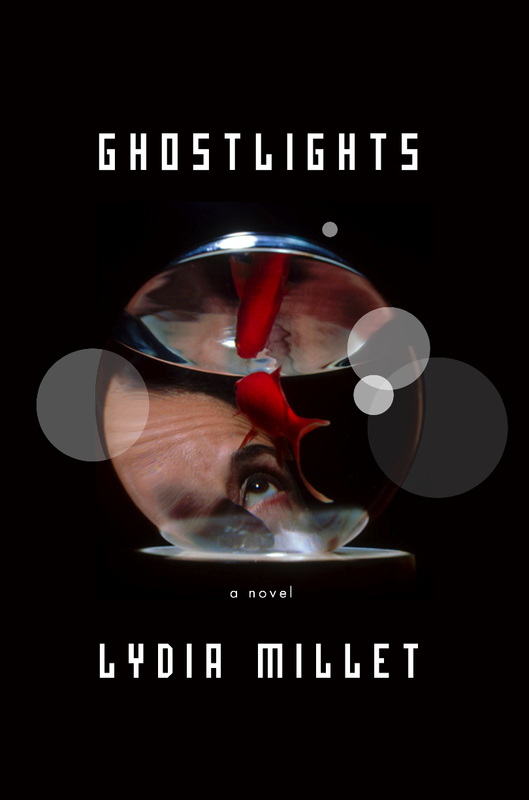 What struck me about it—and stuck with me through the whole novel—was the main character’s deep sense of disorientation. Hal witnesses his wife cheating on him with her younger co-worker and it sets off a sort of unraveling for him and his world. 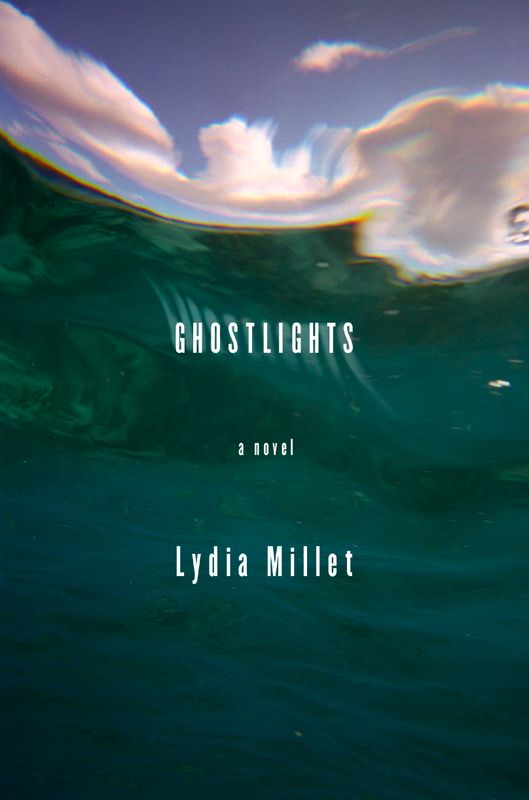 He embarks on a journey to Belize with the excuse to find his wife’s employer (who had gone missing in How the Dead Dream and was thought dead), but in reality it’s just a means of escape from his collapsing life. The landscape of Belize is heady, dreamy, and sultry, with Hal spending most of his time drinking—which only intensifies the hallucinatory aspects. I won’t spoil the ending, but let me just say I had to read it three times. Not only to catch all the nuances of the nightmarish/trippy climax, but also because it was really quite enjoyable…in that odd “car-wreck-don’t-want-to-look-but-have-to” way. For the cover, I had torn this Joshua Sheldon image out of the Communication Arts’ Photography Annual and had it in my “inspiration” folder for a few years, waiting for the right project to come along and claim it. For me, it had all the elements that I thought came through strong in the storyline: manly vacation/hallucination. The one with the foot in the water was a close second choice until someone in the meeting questioned if it should be a woman’s foot instead of a man’s. (She hadn’t read it yet and didn’t realize that the wife didn’t play too big of a role in this one.) Even after explaining this, though, the room had turned toward the current cover. 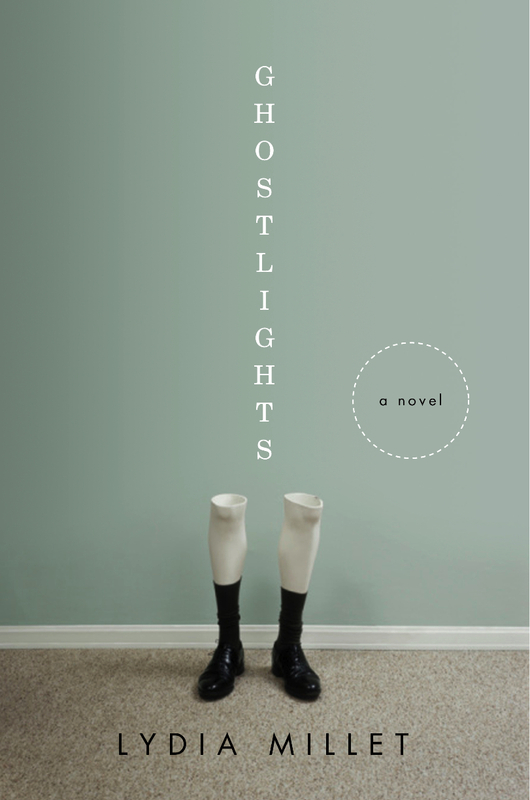 Feet on a book jacket tend to be problematic, no matter which gender they happen to be. The other covers I must admit I forgot I even did. I only remembered the two favored “ocean” layouts, and one really bad layout featuring a toucan which I won’t even send (UGH, what was I thinking???). 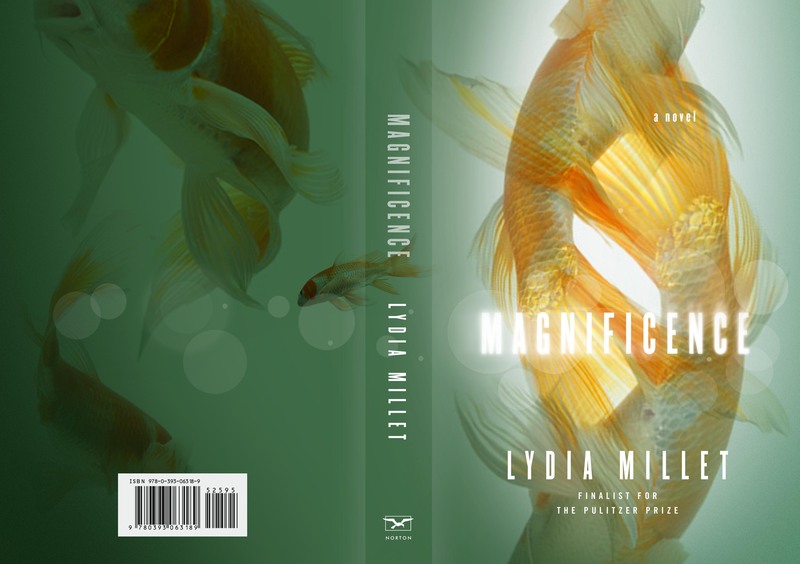 I like the cover with the drain straight-on (graphically and metaphorically), and I find it REALLY ironic that I did one cover with a goldfish on it. In Magnificence, the wife inherits a mansion in the heart of Pasadena with a lush backyard sanctuary and a fully stocked koi pond. For that cover, they ended up picking the one with numerous koi fish intertwined. TOO SPOOKY! 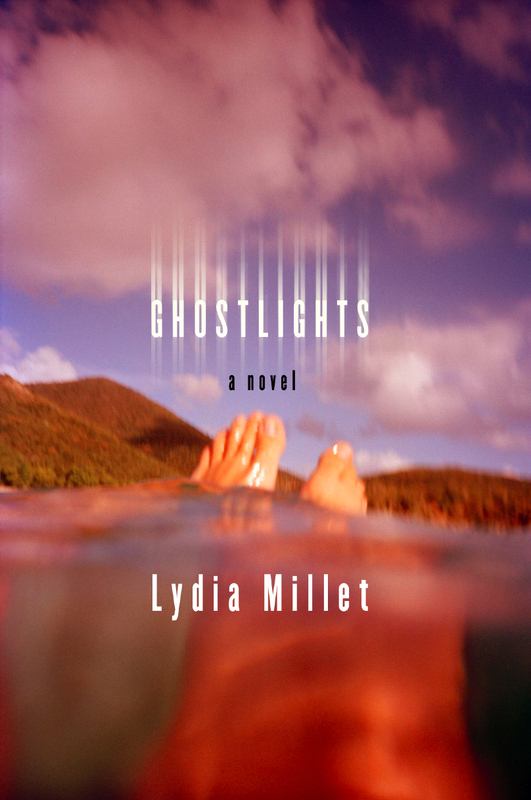 The image for Ghost Lights (which I’ve not yet read) was taken on a trip to St. John with friends. One of our favorite activities was snorkeling in the clear, beautiful waters and trying to capture underwater wildlife photographically. Since the cover image is of where the sea meets the sky, I was probably trying to photograph the snorkel fish that swam just below the surface, and missed. The distorted image is the result of the lens being halfway submerged. So interesting. Would like to know more.